It has been a busy – busy fortnight with so much happening that Nancy and me were not able to prepare something really good to put on our blog. My husband is not keeping too well and now I have to rush to Delhi to be with my family for my grandfather’s 13th day bhog. However, in everything happening, I managed to get atleast a healthy recipe for you all. My husband needs soup on daily basis for some days now, as he is low on diet due to his illness. He was bored of regular dal chawal or tomato soup. So I prepared Mix Vegetable soup for him with all the available veggies at home. 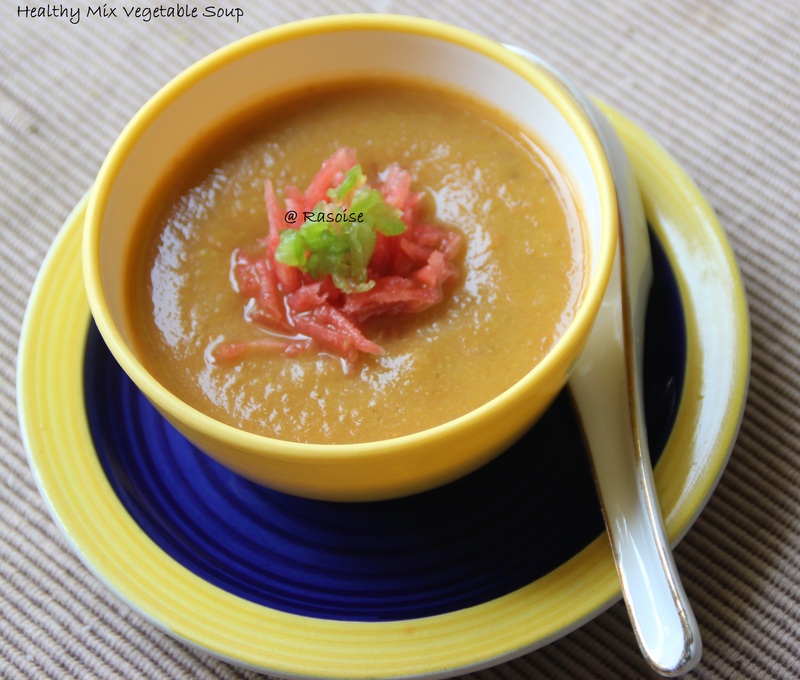 You can add/remove veggies from the soup based on its availability at home. 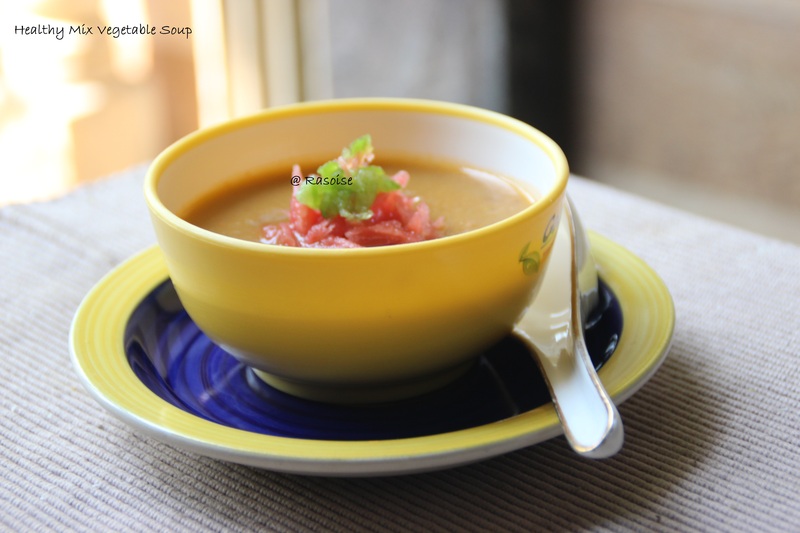 This recipe is really healthy with the goodness of green vegetables and no to very little oil. After a bowl, it also gives a full stomach feeling. 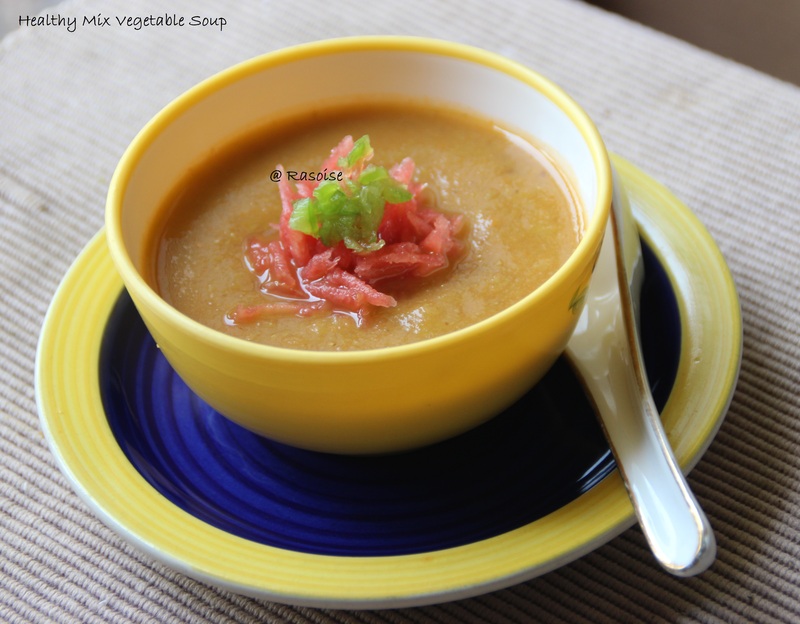 If eating veggies directly is boring for you, then consuming them in a soup is a great option. Heat Oil in a pressure cooker. Add cumin seeds. When cumin seeds begin to splutter, add onion. Sauté till brown. Add all the veggies and mix. Add salt and mix. Cover the cooker with a lid and let the veggies cook for 2 mins. Add 2 cups of water in the veggies and closer the pressure cooker lid. Cook till all the veggies are completely cooked. Sieve the cooked veggies and water. Blend the veggies into a puree. Let the veggies cool before you blend them into a puree. Transfer the puree into a pan and add separated water to maintain consistency. Add sugar and black pepper and let the soup boil. The consistency of the soup should thick. Serve it hot.